A Dictionary of Cork Slang is a collection of those words, not usually found in dictionaries, but which give colour, vigour and individuality to a language. It explains the meanings of the words, gives examples of their usage, and traces their derivations from sources as predictable as the Irish language to such exotic and unexpected ones as Hindustani (the Munster Fusiliers brought words home with them) to Shelta (the language of the Gipsies), English, French, Norse, Dutch, German, etc. 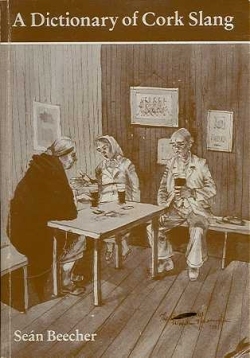 There are circa 370 words, about 1,000 derivations and 21 illustrations by the renowned Cork artist William Harrington.